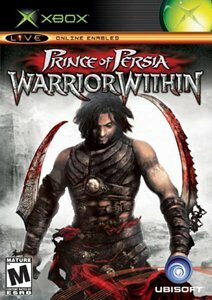 Seven years after the events of Prince of Persia: The Sands of Time, the Prince finds himself constantly hunted by a terrible beast known as the Dahaka. The Prince seeks counsel from an old wise man who explains that whoever releases the Sands of Time must die. Because the Prince escaped his fate, it is the Dahaka's mission as guardian of the Timeline to ensure that he dies as he was meant to. The... See more old man also tells of the Island of Time, where the Empress of Time first created the Sands. The Prince sets sail for the Island in an attempt to prevent the Sands from ever being created, an act he believes will appease the Dahaka. After a battle at sea with an enemy force led by a mysterious woman in black capsizes the Prince's ship, the Prince washes ashore unconsciously onto the Island of Time.